West Palm Beach - A travel alert issued by the American Civil Liberties Union, Florida Immigrant Coalition, and other groups aims to warn anyone traveling to Florida that they could be victims of racial profiling, unjust detention, and deportation, under Senate Bill 168 and House Bill 527. “I’m very concerned about it. 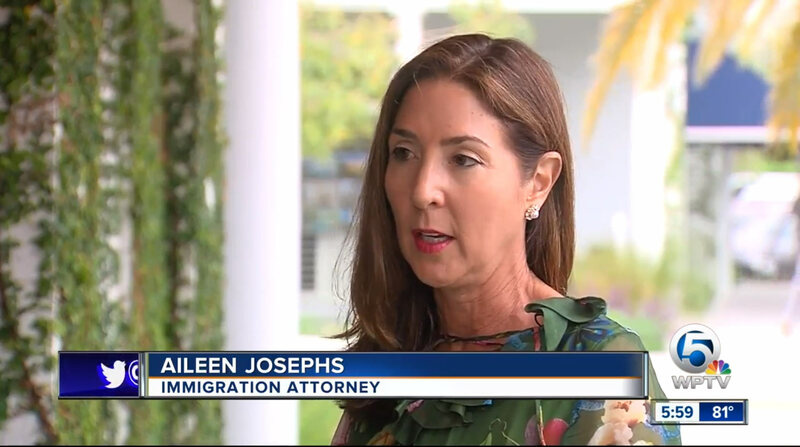 I feel it’s very alarmist,” said Aileen Josephs an immigration attorney in Palm Beach County. Josephs says the travel advisory is creating more fear in immigrant communities and can affect tourism statewide. “It’s not helping Florida, it’s hurting our economy. It’s going to scare many tourists from coming here,” said Josephs. The ACLU says the alert was issued ahead of the potential passage of the controversial immigration bills in the House and Senate which would require all law enforcement agencies to comply with every detainer received from ICE. Josephs said it’s not much different than the voluntary cooperation ICE already gets from local law enforcement. “This is exactly what they have to do because they have to comply with federal law if someone has a detainer, they have to detain. The issue was the first four years of the Obama administration where we really had people picked up, law enforcement would say because they were driving without a license, but how did they know they were driving without a license? A lot of it was racial profiling,” said Josephs. “In partnership with other civil rights and immigrants’ rights organizations, on Monday, the ACLU of Florida issued a travel advisory for the state of Florida due to the potential passage of Senate Bill 168 and House Bill 527. This travel advisory draws attention to the fear, discrimination, and increasing threats immigrants and people of color in Florida are already facing and the increased scrutiny all Floridians will face if this misguided legislation passes. These bills would require Florida law enforcement agencies to comply with every detainer arrest request they receive from ICE. If state and local personnel, as well as law enforcement, are forced to participate in ICE’s broken detainer system, it will wrongfully disrupt communities all across Florida. We already know from Miami-Dade County’s own records, that ICE issued dozens if not hundreds of detainer arrest requests for people listed as U.S. citizens over the last two years. In the past two years alone, there have been two lawsuits filed on behalf of U.S. citizens who were wrongfully held and racially profiled as undocumented immigrants in Florida. ICE is overzealous, cutting corners and negligent. Requiring Florida law enforcement agencies to act as immigration agents and comply with ICE requests only exposes them to damages liability for constitutional violations and threatens basic civil rights held by all Floridians. If either SB 168 or HB 527 passes, it would endanger immigrants, people of color, and every community in Florida.” – ACLU of Florida. We have reached out to the Palm Beach County Sheriff’s Office for more information and to Visit Florida. Both bills are still in committees before they move to votes. If passed, the governor would still have to sign the bills into law. Governor Ron DeSantis has expressed support for this type of legislation. Aileen Josephs is an attorney focusing primarily on immigration, nationality and consular law. She is also an activist and Honorary Consul of Guatemala in Palm Beach County that has protected the civil and human rights of many children that arrive to the United States under great vulnerability. 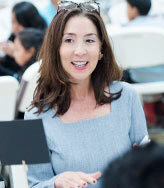 Visit Consul Honoraria de Guatemala and find more about her consular career. © Copyright 2014 - 2019 "Law Offices of Aileen Josephs" by Javier Lopez Advertising. All rights reserved.